Project 365: I <3 concert tickets! (Day 181) | Viva La Vida! THIS IS IT! I got my ticket to Maroon 5!!!! My friend Peaches and I are big fans and decided to watch this time in Patron! It was also pretty cheap… so waaaahhhhhh! I’m so excited to see my ultimate crush Adam Levine! 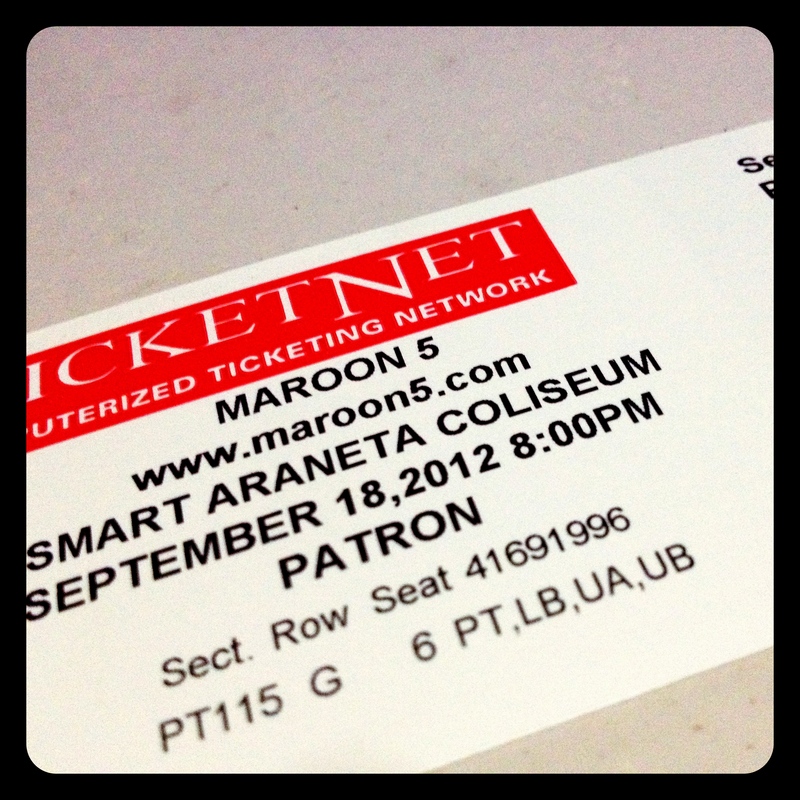 This entry was posted in Concert Scene, Music, Project 365 and tagged Adam Levine, concerts, Maroon 5, project 365 by Roxanne Calingo. Bookmark the permalink.